Zinc is one of the newest materials to come to the padlock market. It conjures up images of a soft flexible metal from chemistry class at school or something sacrificial that corrodes easily, used on boat engines and ships. However, this can't be further from the truth in the padlock market. 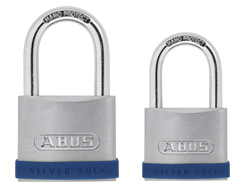 ABUS has developed a special type of Zinc allow which gives excellent all round performance and balance between weight, strength, security and weather resistance. 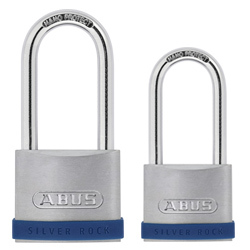 This NEW Zinc bodied range is fresh to market in 2018 and brings that solid feel and durable quality to a superb range by world renowned manufacturer ABUS. Availabe in different lengths and widths, these products are perfect for medium security requirements in leisure or industry.